Collection of beautiful modern wall clocks and unique clock designs that will look great on any wall in your home. This is a redundant wall clock and this is a redundant description. The spiral face of this innovative wall clock turns slowly over twelve hour period. 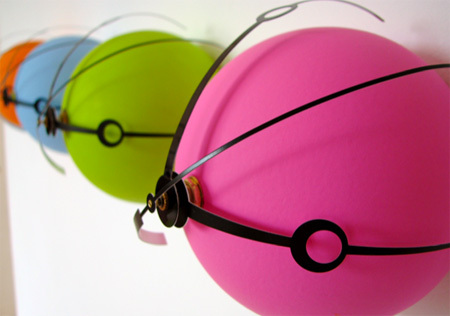 The red ball rests on the spiral ledge; as the spiral turns it travels along the ledge to the middle. At the 12th hour it drops through the hole and the process repeats itself. 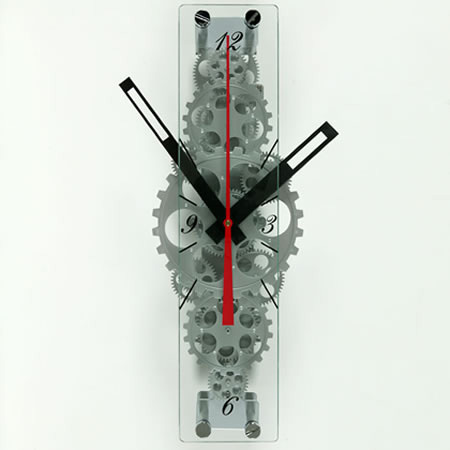 The frosted glass front reveals elaborate Victorian hands on this modern aluminum wall clock. 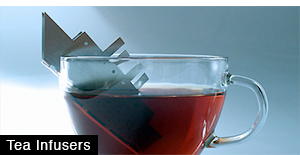 The hour, minute and seconds hands elegantly wrap around the body of the clock, thus bending time and space. Modern clock features a column of exposed, rotating gears with an hour-marked strip of glass which also protects curious fingers. 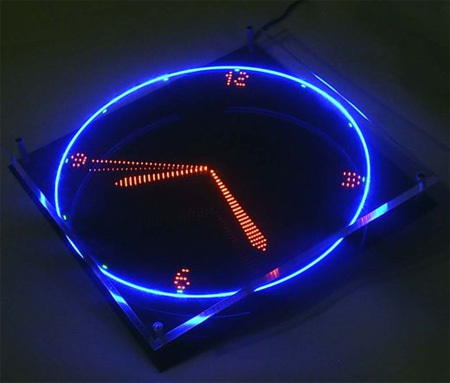 By rapidly spinning a blade that contains an array of flashing LEDs, this wall clock tells time in a visually striking way. 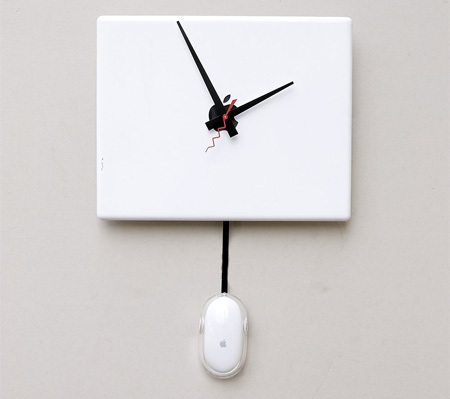 Cool wall clock made from recycled Mac G4 iBook case, complete with Apple mouse utilized as a working pendulum bob. Clock which appears to be peeling off any wall it is attached to. 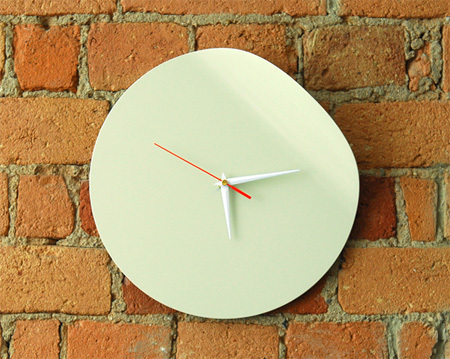 Unique clock has a slice cut from one side that creates a flat edge for easy hanging on the wall. 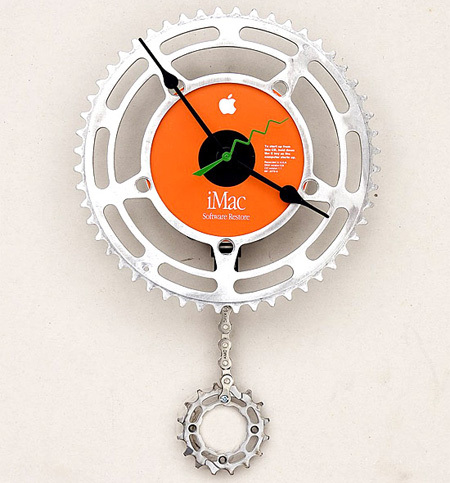 Unusual wall clock made from Apple iMac software restore disk and recycled bicycle parts. 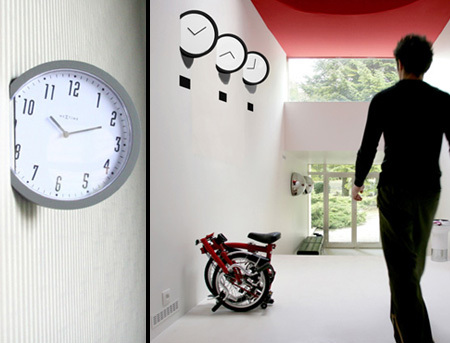 Creative wall clock where all the numerals have been replaced with math formulas. 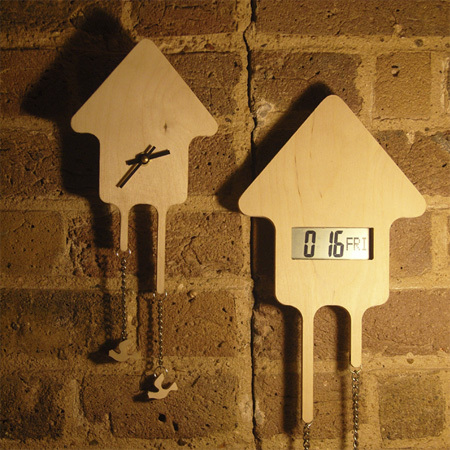 Modern Cuckoo [digital or analogue] wall clock made from plywood. 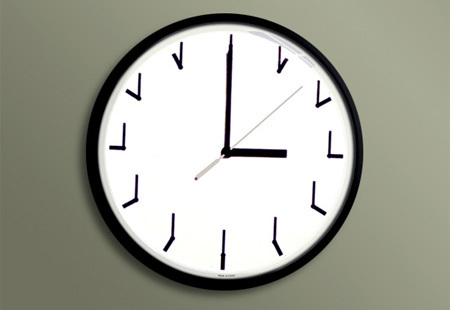 I love the Redundant clock and the Flop Wall Clock. Both simple and beautiful. I need to get a new clock too. 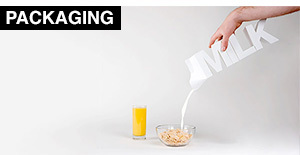 Really like one I saw in an older post, on here…Toxel. It was kind of like a chalk/dry erase board with hands. 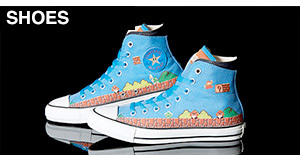 Pretty neat concept because you can doodle on them to make it your own. If you get bored of it, just erase and change it up. 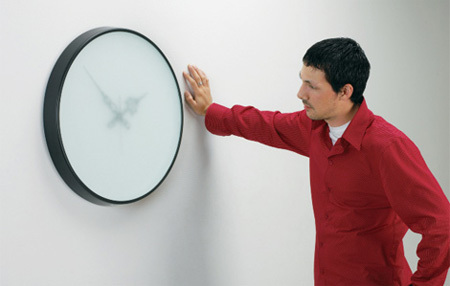 Aspiral wall clock is very cool, finally some innovation in clock designs. 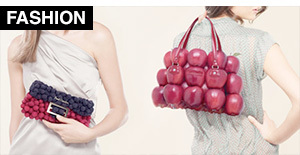 Would LOVE to buy it.. but can’t find it anywhere! Ha, I did the same thing, Tom! Very cool post. 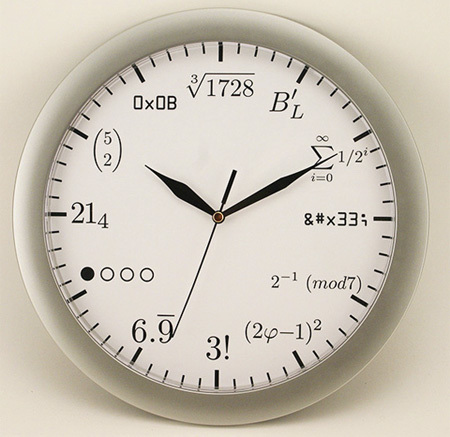 Wall clock with math formulas is wonderfull, i’d like to buy this clock as a gift for my boyfriend. Wested my 4 minutes for staring at the Aspiral clock and didnt see the ball drop ball drop into the hole!!! Bike chain looks cool, sans the apple advertisement. 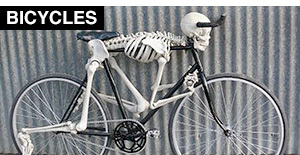 I agree, I LOVE the Bike Chain Clock. It’s the best of the bunch. 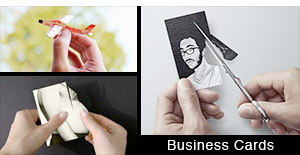 Love the MacBook / Mighty Mouse one. I think that the Bubble Clox are definitely the coolest i have ever seen. Coz it is not flat like every other clock, i love the ‘ Insert wall clock’ & ‘ Aspiral Clock ‘ too but for sheer simplicity & originality the Bubble Clox wins the prize!